Posted on 11/29/2018 by Claire Stephenson. 0 Comments. 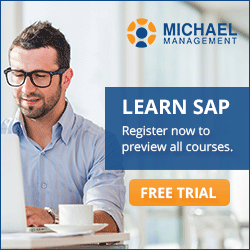 If you look at Thomas Michael’s MMC profile, his tagline reads: SAP Training Guru. CEO. Speaker. Maker of Gin. Drummer. New Yorker. From Hamburg. While I’m not equipped to comment on the quality of his gin, or musical talents, I can absolutely attest to the fact that he is an SAP training guru. Thomas originally started MMC as a boutique SAP consulting company, but over the last ten years the business has completely shifted into e-learning. MMC has snowballed into an SAP platform with 18,000+ students and is now the leading provider in SAP education. With 130+ reviews, 500+ students, 6 live courses and at least 5 more courses in development, Thomas has accumulated years of knowledge about creating successful courses for MMC. New instructors should tap into his experience and expertise when creating their own course(s). Thomas’s SAP-Fiori End User Course has been extremely popular, with over 40 reviews and an average rating of 4.7 out of 5. I have personally taken the course and was captivated by his succinct, clear and short lessons. In the age of Twitter, shorter lessons and courses are gaining momentum and becoming increasingly more popular. Thomas’s course embodies this trend and the high rating reflects it. SAP Fiori is one of the most searched for SAP topics on our website, followed by searches for HANA and Purchasing. However, seeing as SAP trends are always shifting, Thomas always encourages instructors to teach their expertise and tap into the demand that instructors see in their professional work. There is always an audience, and instructors know better than anyone else where people have questions and where people struggle the most. This is one of the many tips that Thomas has for new and existing instructors. 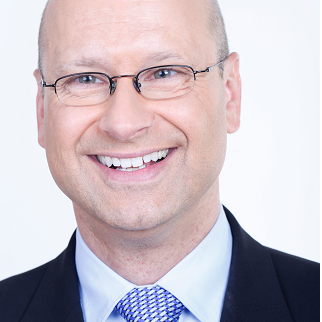 Thomas is an Asset Accounting expert, with most of his courses falling within this category. Check out his SAP Asset Accounting Courses. He also offers a free course about Installing the SAP GUI. His course coupled with his blog provides a comprehensive overview of everything students need to know about installing the SAP GUI. I encourage all current and prospective instructors to take his course for inspiration. Watch Thomas Michael's interview where he discusses the progression of MMC as a company, his experience as an instructor and tips for successful courses. Before you get started with a course, come up with your outline. Start with thinking about what you’ll cover between the intro and the outro. Once you have that, you can start creating your content. I usually upload content for the intro and outro last. There’s been a significant shift in the past 1-2 years towards shorter SAP courses. Students tend to like short lessons. Lessons where they can learn something quickly so that they can use it that day. 1-2 hours courses tend to do better than the courses that are 8 hours long. You don’t have to be an expert in everything. There’s always people that want to learn about SAP. Start with something small. Start with one little thing and get bigger from there. You don’t need a full studio to create courses, but you DO need a decent microphone. When I first created courses, I used the microphone through my laptop and it produced too much background noise. Audio is our #1 complaint from students, so quality audio is key. Use the resources that we provide. MMC helps all instructors get started. There are lots of people available to help you successfully create your first course (and any courses that follow). The first course is the hardest, following courses will snowball. Just get started. I use a home studio kit that I purchased on Amazon for $100 as well as Camtasia to create videos. You don’t have to have these tools, but it is helpful. Students like courses better if there is a mix between presentation slides and screen recordings. My courses start out with a PowerPoint presentation, but the majority of my courses are screen recordings where I dive into SAP and address how to do things, what to do and why to do them. Courses that have a promotional video, have 5x higher enrollment than ones that don’t. This is where tools like a home studio kit and Camtasia come in handy. The biggest challenge facing instructors: thinking that creating courses take a long time. This is a big misconception. I’ve even created some of my shorter courses in an afternoon. You don’t have to create your entire course in one sitting. Piecemeal it. Little by little and you’ll put it together. Don’t approach course topics with thinking ‘where is the highest demand’? Don’t put the cart before the horse. Start with what you know and create a course around it. There’s always an audience. Utilize our Hot Topics list. We have a list that we update based on what our customers request (especially our corporate customers). Once you create and publish your course, you’re only halfway done. We do a lot of marketing for our instructors through marketing emails, Google ads, social media ads and blog posts, but we can’t do it alone. Help us build an audience for your brand. Do an interview, host a webinar and share your course with clients and professional contacts. There’s a lot we can do together to build an audience. Create coupon courses. For example, if you want to offer the course for free for the first 10 people, that’s something we can do. Get students to review your courses so that other students can see. Use feedback as a drawing board and maybe go back make changes based upon their reviews. Every instructor gets copy of student reviews. Make sure to take those into consideration. It’s also rewarding to see that your course helped someone in their own job. My biggest motivation for creating courses is spreading SAP knowledge. Creating courses also provides a nice recurring passive income steam. But above all else, it about sharing what I know. My favorite part of being an instructor is when one of my courses goes live. Leslie, our training director, reviews my courses and when she approves and publishes them on the website, it’s a great feeling. Lastly, if you’re interested in creating courses, just give it a try. It’s not an overwhelming project. Just take the first step and we’ll help you along the way. Thomas said it best: just jump in and give it a try. Leslie and I are here to help throughout the entire process. There are myriad of reasons to create courses, whether it’s to position yourself as an expert, create a passive income stream or expand your professional horizons. But at the end of the day, you can rest assured that you will positively impact the experience of a student diving into the world of SAP. Interested in sharing your SAP knowledge with our students? Apply to be an instructor for MMC! SAP learners start with great instructors.